Adelaide, Australia reminds me of two certainties in life: leg-cramps on planes, and road season’s kick-off. So what more fitting way to celebrate the pros’ return to asphalt than with infographics and animated gifs–Scicon knows what gets me motivated for the Tour Down Under. Yup, possessed red boxes levitating into a plane. They got me. OK, I’m kidding (sort of). 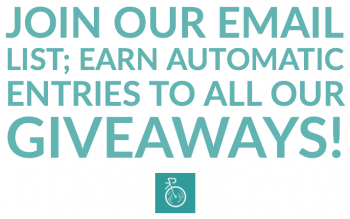 But really, Scicon offers us insight into the huge ordeal that is getting teams of International cyclists to another continent. 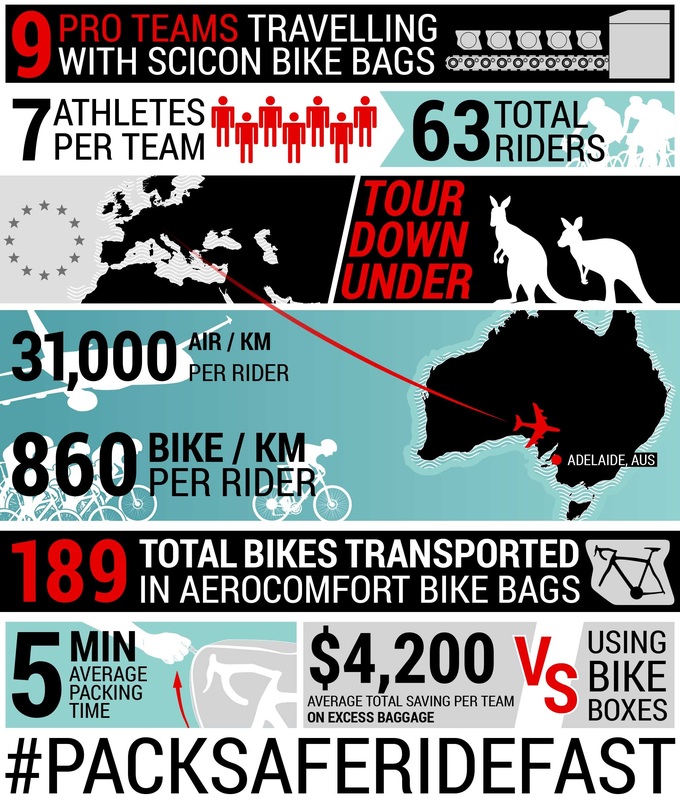 In fact, Scicon sponsors 6 teams, and supplies bags to 3 more–all of which are racing the TDU this year. That’s an insane 189 bikes packed for air travel. And that ain’t even everything, according to Scicon. 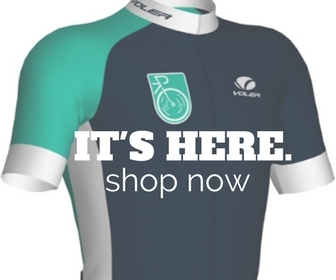 Add sets of Lycra, helmets, shoes, gloves, sunglasses, etc. But perhaps the biggest thing to remember about this packing ordeal is that most pro women’s teams don’t have the fancy team buses or fancy team people to help them pack like the men do. These women are pros too–they just have to haul and watch out for all their own kit, bikes, and equipment. Read Also >> What Are Those Black Sticks Under Tour de France Rider's Saddles? 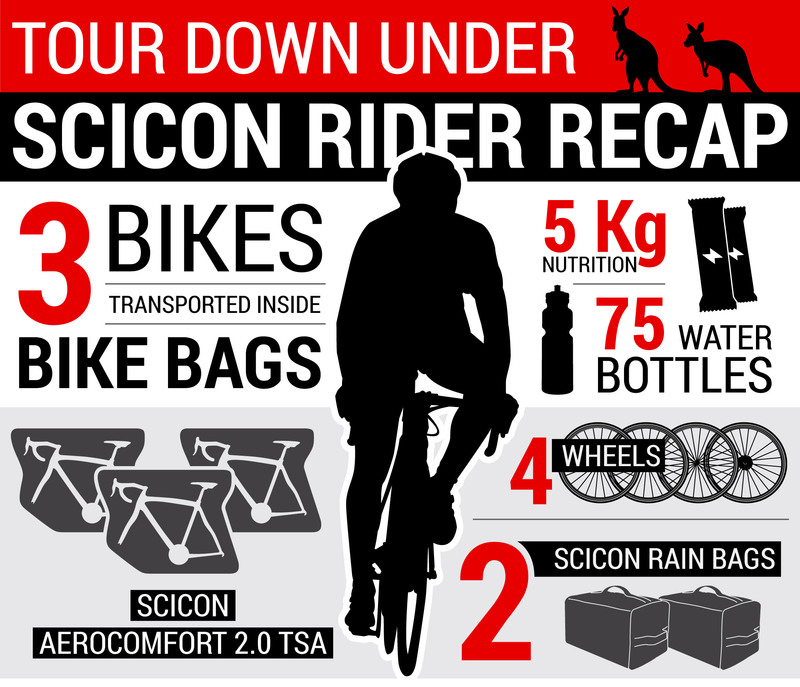 Of course this is just an overview of what the folks at Scicon do for their sponsored riders. Read more about the ordeal of traveling with a pro tour team to the Tour Down Under in Australia, and get stoked for the beginning of road racing season!